Earth is the one planet we know of that is well suited for life. Of course this is a sample size of only one, and it’s a biased sample, since we’re it. This means we should take any speculation on the existence of life on other planets with a grain of salt, but there are some things we can at least tentatively speculate on. One of these is the possibility of liquid water on a planet. Life on Earth can survive in a wide range of environments, but generally needs to have access to water, so it seems like a decent starting requirement for life similar to Earth life. This means at the very least we need to consider the temperature of a planet. The temperature of a planet depends on several things. Most importantly is the temperature of the star it orbits. Red dwarf stars are smaller and cooler, so planets would need to be closer than Earth to be equally warm. 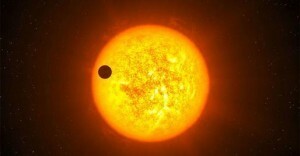 For stars larger and hotter than the Sun, the planets would need to be farther away. But it also depends on things light albedo (how much light a planet reflects back) and warming effects of its atmosphere (Earth would be an ice planet without the warming effects of water and carbon dioxide in its atmosphere). This can vary significantly. A planet could have the right distance from its star, but have an atmosphere that makes it too hot or too cold. Still, a basic starting point would be to consider our own solar system. Earth is habitable, Venus is far too warm, and Mars is too cold. If we could tweak the atmospheres of Venus and Mars we might be able to make them habitable, so let’s take the average distances of Venus and Mars as the closest and farthest limit for a habitable planet around a star like our Sun. Within that range would then be the “Goldilocks Zone” for planets orbiting the Sun. For stars hotter or cooler than the sun, this distance would need to be adjusted outward or inward. But this is easily done, and there is a simple for this based on a star’s temperature. From this equation you can define the Circumstellar Habitable Zone or CHZ. Given this equation you can then plot the distances of known extra-solar planets (exoplanets) by distance relative to the CHZ of their star to get an idea of just how many of them might be habitable. Distribution of known exoplanets zone. Credit: Borucki et. al. The result can be seen in the figure above. As you can see, most exoplanets are far too close to their star to be habitable. Of more than 1200 exoplanets, only 39 are in the CHZ of their star. Part of this is due to the bias inherent in finding planets. It is easier to detect planets with shorter orbital periods, and such planets are more likely to be too close to their star to be habitable. Still, this graph implies that about 3% of planets might be habitable. Of course just because a planet is the right distance to be habitable doesn’t mean it will be. 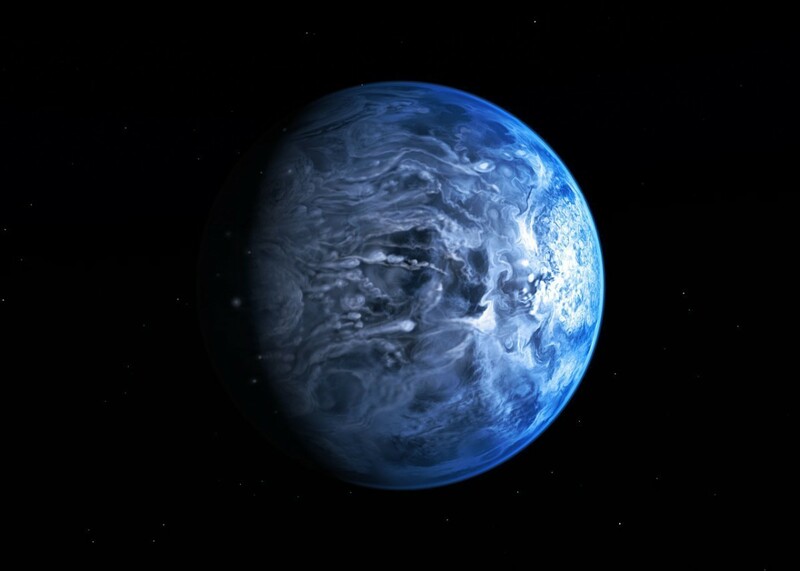 It might not have large quantities of water, or there might be other conditions that make it hostile to life, such as an extremely dense atmosphere. Even if the conditions are perfect, life simply might not arise on the planet. On the other hand, this also ignores moons around gas giants. Jupiter lies far outside the habitable zone of our solar system, but its moon Europa does have liquid water. It’s possible that life could arise on the moons of gas planets outside the habitable zone. Of course this is all based on the assumption that life needs liquid water. Maybe it doesn’t. Maybe it doesn’t need to be based on carbon. We can speculate, but for now we still only have a sample size of one planet. Based on what we know exo-life certainly seems possible, but for now all we can do is keep looking. Goldilocks is probably a good general rule however microbes can live in crazy places here on planet Earth. A biocide must be used in aircraft fuel tanks where the fuel temperature routinely gets down to -35 C.
I wonder. If the current distribution of exo-planets is biased due to our observational techniques, does this means that as the techniques improve the distribution of planets will spread farther and farther away from the star and populate the Goldilocks zone more and more? 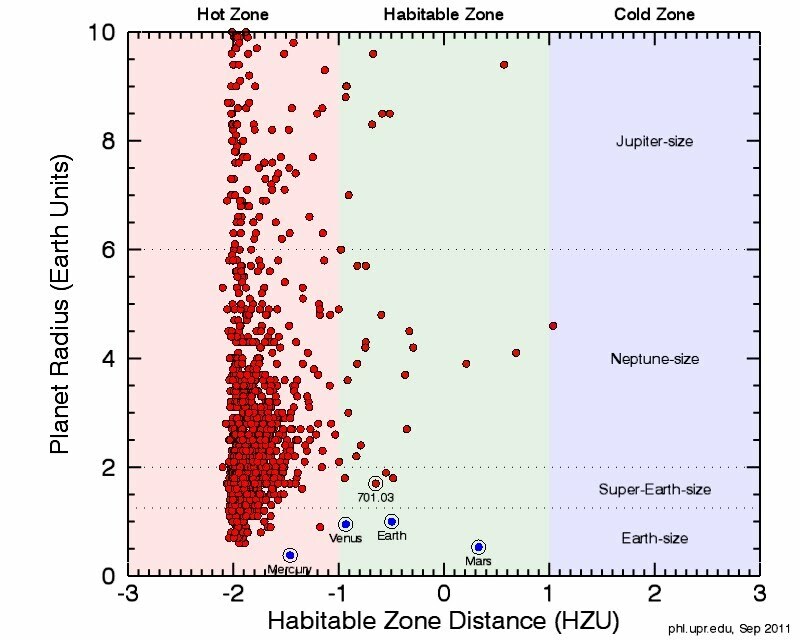 Would it be reasonable then, to expect that some point we’ll discover that there are as many planets in the Goldilocks zone as there are right now in the scolding-hot zone near the stars? Perhaps ALL stars with exo-planets have at least one planet within the Goldilocks area. Just a thought 🙂 great article as always Brian!